Savvy Spending: Amazon: 100 count pack of AA Batteries for just $11.93 shipped! 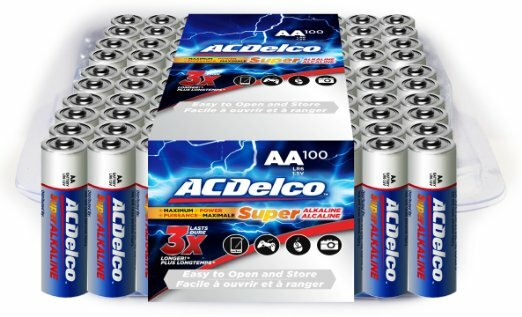 Amazon: 100 count pack of AA Batteries for just $11.93 shipped! If you're always running out of batteries (like me), consider stocking up on this deal at Amazon! 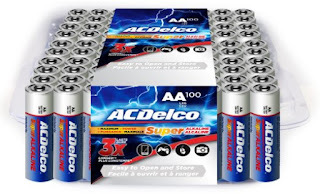 You can get the ACDelco Super Alkaline AA Batteries 100-Count pack for just $11.93 shipped! That makes these about 12 cents each, which is wayyyy cheaper than the cost at the dollar store!